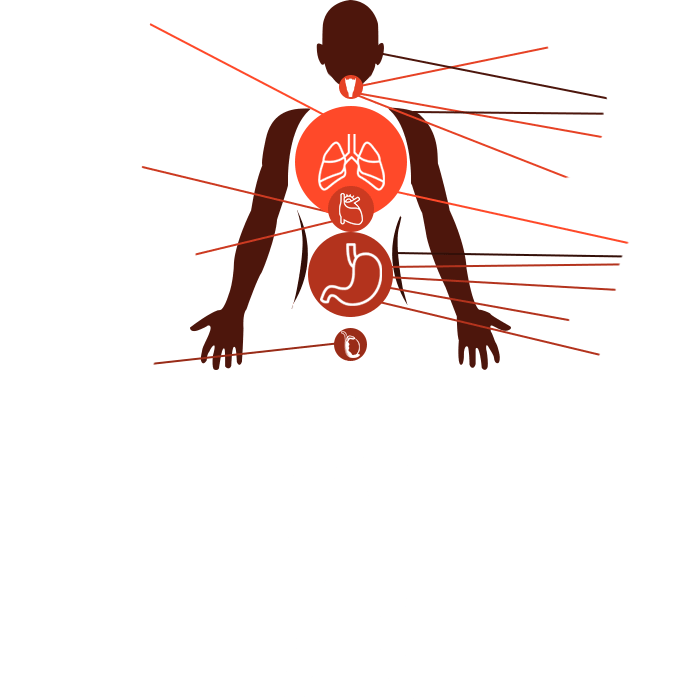 The asbestosis symptoms appear after a significant period of time, usually 15-20 years after the main exposure to asbestos. They develop gradually and become noticeable when the disease is at an advanced stage.  The asbestosis symptoms vary from person to person however the most common symptoms are: persistent cough, swelling in the neck or face, wheezing, difficulty swallowing, loss of weight or appetite, anemia, sleep disturbance, high blood pressure, clubbing (finger deformity), unexplained fever and cyanosis (blue skin coloration). Mesothelioma is a cancer that progresses extremely slowly from the time of the main exposure to asbestos. The latency period may be 15-60 years. There are no noticeable symptoms at the early stages of the disease. They do appear progressively, however, there are mistaken for other ailments. Early signs such as fever, night sweats fatigue, cough, muscle weakness may be easily ignored or misdiagnosed. When the symptoms become more severe and noticeable, the cancer has reached an advanced stage.